Macanudo Gold Label Shakespeare cigars are handcrafted with golden, elegantly thin wrapper leaves from the 1st and 2nd primings of a specially-cured Connecticut Shade crop. 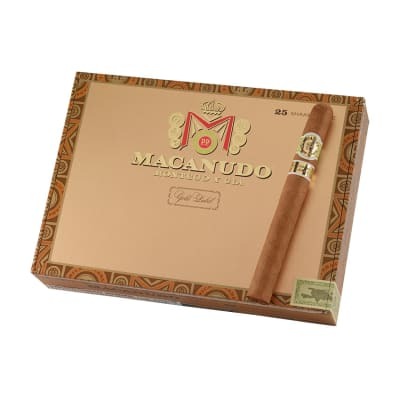 The smoke is even milder and smoother in flavor than the regular Macanudo cigars with a succulent, natural sweetness. Macanudo Gold Label Shakespeare cigars are handcrafted with golden, elegantly thin wrapper leaves from the lowest primings of a specially-cured Connecticut Shade crop. 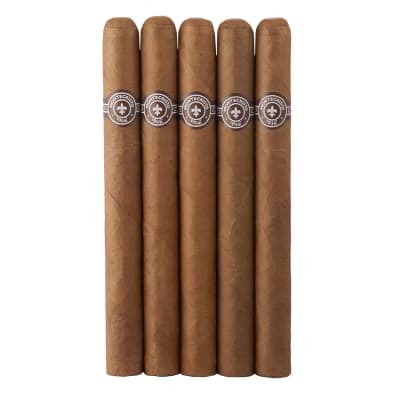 The smoke is even milder and smoother in flavor than the regular Macanudo cigars with a succulent, natural sweetness. Try 5 first! The Macanudo Gold Label Shakespeares we have recently smoked were perfect in appearance, burned flawlessly, and gave off a lovely aroma that we each savored the length of this wonderful smoke. 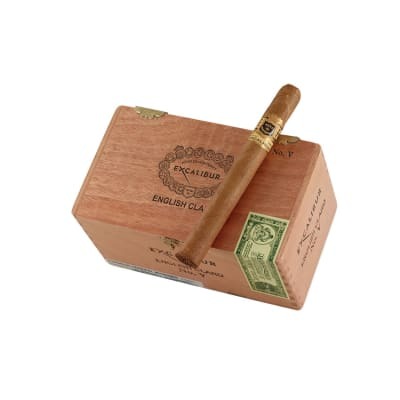 We all enjoy a mild cigar, and the sweet and caramelized taste filled our mouths and the scent filled our nostrils with a delightful aroma and is, hands down, the best cigar that we have smoked in a while. 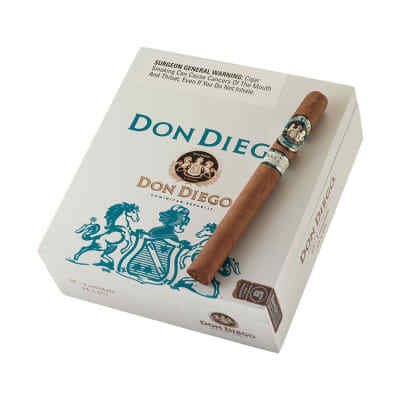 Construction appeared flawless, the draw was perfect, long ash and totally smooth burn make this our cigar of choice. Not inexpensive, but worth the money. We just ordered 2 more boxes!! Like all Macanudos, this cigar looked great, smelled great and tasted great. It is, however, what it is. A super mild cigar that lacks depth. An excellent morning smoke. Macanudo? 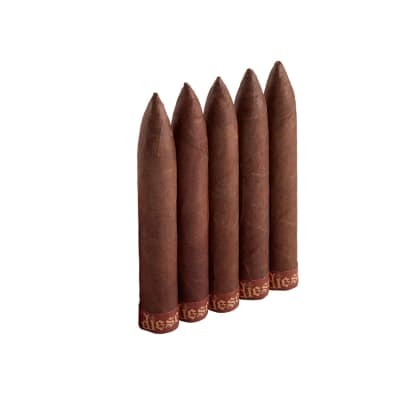 What's the big deal on these cigars? Macanudo this, Macanudo that! General Cigars, go figure! I would not say is a bad cigar... well... yes, it's crap. I worked in the industry and I can honestly tell you there are far better mild smokes out there and way cheaper. there is a pattern that most Macanudo smokers do: They stay there and don't try anything else than that. I used to tell them to switch to Davidoff, Avo, Ashton. And if they don't want to spend so much then go with RP 1999, Chateau Real from Drew State, Cuesta Rey, RP Edge Lite or even better, Chateau FuenteConnecticut. So people, get out of the comfort zone and try one of those.